As the nights draw in and winter starts to grip we need to think about lighting. Whether it's pretty or practical, lighting is crucial now that it's time to cast a glow in the home. Considering the different ways in which you use a room will help you decide what's needed. Coordinating light ranges can connect a whole room. Use wall, ceiling or table lights to create a unified look. Each room has different lighting requirements. Bedrooms need soft and bright lighting and bedside lights for reading. In the kitchen you need good lighting for preparing food and then lighting to make a style statement. 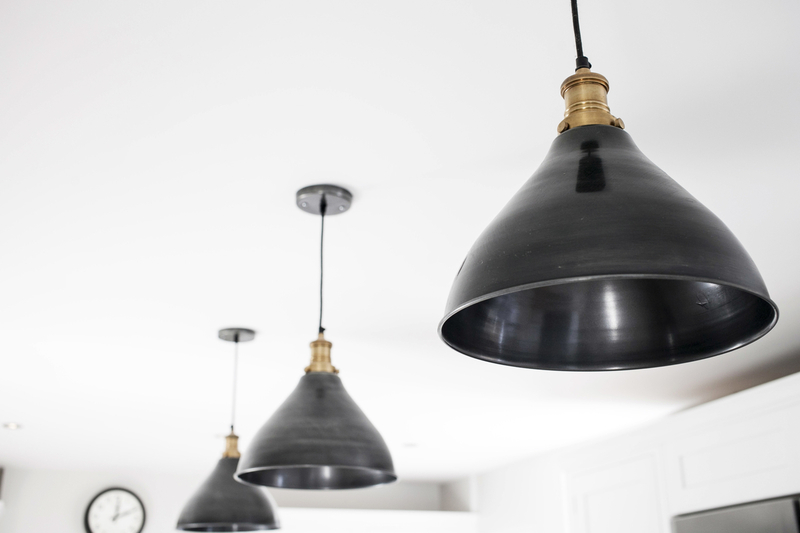 The burlanes pendant lights give a space an industrial vibe, the perfect style statement! Bathrooms need well chosen lighting, bright enough for shaving and putting on make up and mood lighting to turn the room into a relaxing haven. Ensure the ceiling lights are dimmable to achieve this. With the right living room lighting, you can have a space that’s perfect for doing everything and it's amazing what a difference a lamp makes! With the flip of a switch you can create a different room every night! Today we also have a wonderful giveaway to win a Cheyne Wall Light. This classic design would work in every room in your home. To enter use our simple rafflecoptor widget below....good luck! Start date is 12am, 6th October 2015 and the closing date is 12am, 14th Octoberr 2015. The winner will be notified by email. The winner will need to provide a postal address so we can arrange delivery. If the winner does not respond with a postal address within 2 days of contact the giveaway will be re-drawn and the prize re-allocated.